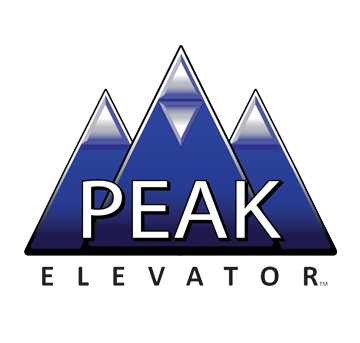 PEAK Elevator™ is committed to providing you with the utmost in personal service and professional care for your elevator/escalator systems. Regardless of the brand you own, please consider these eight (8) facts prior to making a decision on your elevator maintenance provider. 1. GREAT service DOES NOT have to cost you a fortune! When it comes to elevator service, most property managers cringe at the thought of paying tremendous costs for less-than quality services. Unfortunately, the fact is that in some cases you simply are not getting what you pay for. PEAK Elevator™ is a non-union company. We only employ licensed conveyance mechanics and pride ourselves on providing “TRUE” preventive maintenance services for a fraction of what most other companies charge. The savings of our cost-effective services helps your organization achieve its annual budgets and financial goals. From our decades of experience, PEAK Elevator™ knows the time involved and technology requirements to properly maintain your elevator and escalator equipment. Our realistic pricing is based on this. 2. The only way to get top performance and long life is to do “Preventive” Maintenance. This is a true statement. Any machinery enduring constant use needs constant care. Regular inspection, adjustment, and lubrication are essential for elevator and escalator equipment. Elevator preventive maintenance keeps your equipment operating at peak performance, helps avoid major replacements, and prolongs the valuable life of the equipment. PEAK Elevator™ evaluates your systems and tailors a maintenance plan to provide cost-effective, reliable, and long-term maintenance for your equipment. 3. Elevators/Escalators are a vital part of each building’s operation and image. PEAK Elevator™ understands that equipment cost is a significant part of each building’s total annual maintenance budget. We understand your elevators/escalators represent your building to the people who live or work there. We realize the way your elevators/escalators look, how smooth they run, how efficiently they operate and how often they’re out of service, can help or hurt your building’s reputation and its marketability. 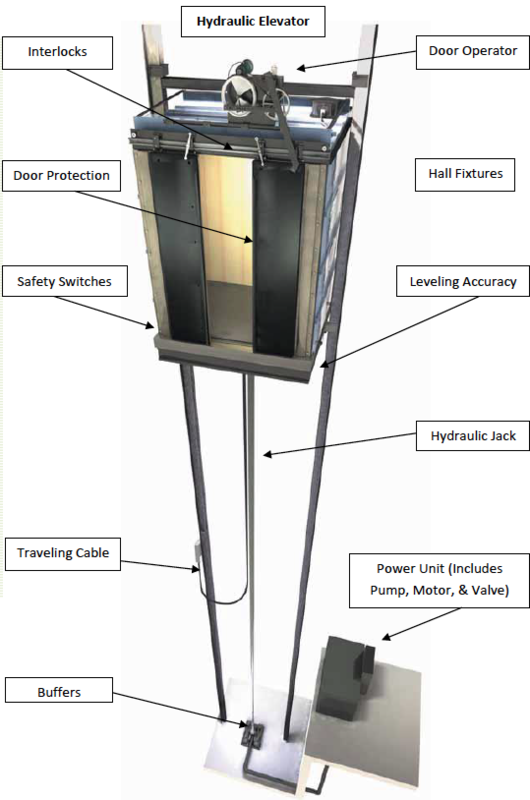 PEAK Elevator™ designs your maintenance plans to ensure optimum efficiency while protecting your investments and image. Call our 24-hour Service Line (303) 466-6231 or Contact Us for more information. 4. PEAK Elevator™’s Maintenance Plans keep your system in “PEAK” operating condition. This diagram illustrates the areas that receive careful attention during routine preventive maintenance. Examine, lubricate, and adjust your elevators on a systematic, regular schedule. Repair or replace parts subject to wear as needed. Conduct periodic safety tests as outlined by ANSI/ASME A17.1. Provide emergency service 24 hours a day, 365 days a year. Our commitment to maintaining your elevators, escalators, and moving walks is spelled out in our Elevator Maintenance Agreements. Our language is simple and explains in detail exactly what we will do for your equipment so there are no surprises to your budget down the road. 5. 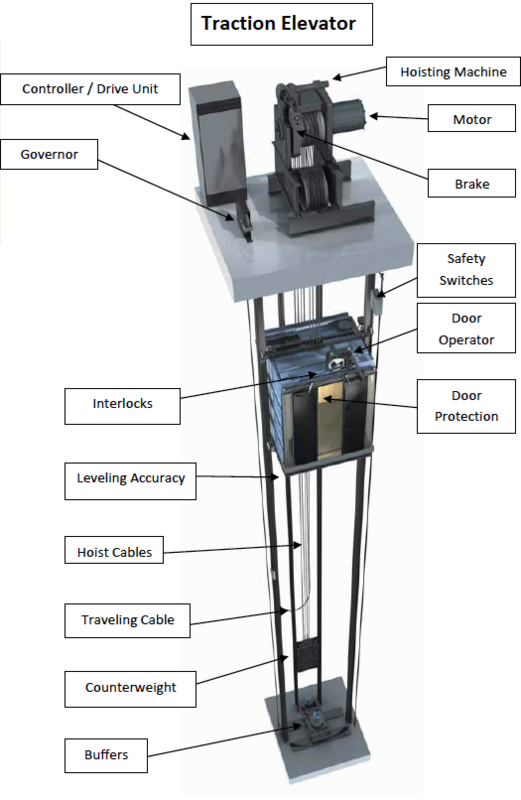 From pit to machine room, PEAK Elevator™ inspects, maintains, services, and repairs all brands of Traction Elevators to ensure your equipment meets safety & code regulations. Every element of an elevator system should be inspected for wear and performance on a regular schedule. 6. A PEAK Elevator™ contract is as user-friendly as the service it provides. Most contracts are written in “legalese,” making them difficult to comprehend. At PEAK Elevator™, we have taken steps to create a service agreement that is both easy to read and easy to understand. Because we are a non-union company, we are not bound to union mandated annual escalation clauses such as those you will see with most other elevator companies. When you sign a contract with PEAK Elevator™, you know we will be around to fulfill it. At PEAK Elevator™, we recognize and understand that just as your building’s reputation depends on how well it functions… our reputation depends on how well we perform. Simply stated, serving you well is good business for us. means fast service on parts and expert, up-to-date information. PEAK Elevator™ maintains an extensive inventory of quality parts. Over the years, we’ve partnered with several national distributors to ensure there is never a delay on spare parts. Additionally, our vehicle fleet utilizes a mobile inventory to allow for on-site repair/replacement of most elevator/escalator components; reducing the downtime and inconvenience to the customer. and receive the best training in the business. PEAK Elevator™ is a member of the National Association of Elevator Contractors. We take pride in our nationally and federally approved, continued education training (CET) program. Our training specialists attend regular training seminars to ensure PEAK Elevator™’s service technicians are always current on the latest products and technology. These special training sessions encompass the latest in technology for all types and brands of elevators, including industry advancements. Through ongoing training, our technicians are constantly educated on all technical aspects of the elevator/escalator industry. Our comprehensive training program yields the sharpest, most well-informed technicians in the industry. Given our maintenance technicians’ extensive experience in the elevator industry, our ability to service equipment produced by other manufacturers is unsurpassed! Need elevator or escalator services right now in Colorado or Wyoming? Call our 24-hour Elevator Repair Service Line (303) 466-6231 or Contact Us for more information on elevator maintenance repair plans.